While GM and Chrysler took $B’s in U.S. Government bailout monies, Ford did not even apply deciding it would find its own way and develop a business model that works in this economy defined by the ever rising cost of petroleum. 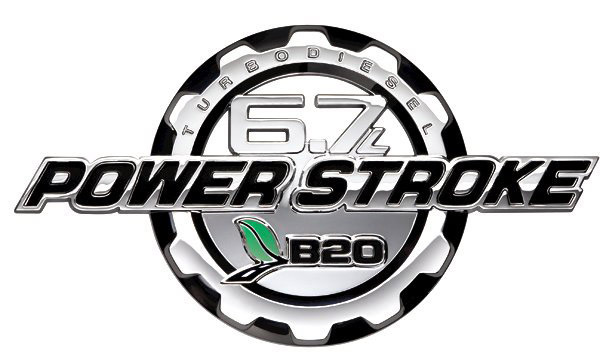 So now Ford is adding a big, beautiful B20 emblem on the side of their trucks to celebrate the 20% Biodiesel support of their 6.7L turbo-diesel. We salute Ford’s efforts and we look forward to the B30, B50 and finally the B100 emblems that are to follow. These trucks are manufactured and assembled in the US and are rated at 23MPG which equates to 28MPPG (Miles Per Petroleum Gallon) if the driver is burning B20. Everyone today seems so focused on MPG, yet this unit of measure is outdated. If the fuel is sustainable, economically viable and environmentally friendly, then MPG is not that important. Actually, if vehicles were running on B100 sourced from 2nd generation feedstock, then lower MPG is more desirable as it better supports our economy. ETC Green Engineers are working with the EPA and DOT to establish a new unit of measure – MPPG (Miles Per Petroleum Gallon) so people have a better understanding of the performance and emissions of the vehicle. For more information please review the article, Are you driving your last gasoline powered car? Petroleum is a finite resource. Doubling the MPPG for vehicles is wrong headed in that this direction only delays the depletion of this finite resource. Emissions from any vehicle running on petroleum sourced fuels – including gasoline powered hybrids such as the Prius and Volt – have no life-cycle emissions off-sets. As compared to petrodiesel, biodiesel has radically reduced emissions: use of preferred sourced B100 completely eliminates lifecycle carbon dioxide emissions (CO2), it also reduces emission of particulate matter by 40-65%, unburned hydrocarbons by 68%, carbon monoxide by 44-50%, sulfates by 100%, polycyclic aromatic hydrocarbons (PAHs) by 80%, and the carcinogenic nitrated PAHs by 90% on an average. The biodiesel molecules are simple hydrocarbon chains free of the aromatic substances and sulfur associated with fossil fuels. Since the current business plans for large scale 2nd generation feedstock in the US include the planting of 10 billion 12′-14′ tall trees, this solution can also claim the air filtration benefits of those trees including the reduction of heavy metals from coal burning power plants and various particulates from petroleum burning vehicles. The slide down the backside of Peak Oil will not be without bumps, but there is a soft landing and biodiesel and synthetic diesel are better for the environment. Even the Discovery Channel Mythbusters have shown that emissions drop by 30-40% by simply switching from gasoline to petrodiesel powered vehicles. Emissions drop even more if biodiesel blends are used (DOE-42562.pdf). If producing biodiesel from 2nd generation feedstock, the $38 barrel equivalent is far more attractive than the current $101 barrel petroleum option. Maybe there is life in Detroit. The following chart shows the fuel side of this advantage via standard energy units.